About Us – Where's My Unicorn? With a natural talent for gymnastics and dance from a very young age, training in Rhythmic Gymnastics which combines all three elements of acrobatics, dance and apparatus at the State Sports Center in Sydney Australia, was the perfect recipe for what was to come! Melanie’s younger years were full of fun, putting together dance routines, playing with make-up and sassy clothes ‘burrowed’ from her auntie’s wardrobe of outfits left over from pantomimes, forever dreaming of unicorns. Progressing quickly into the world of business, working by day, studying by night with little time to play, Melanie quickly found her flare to share as a recruiter and trainer for one of Australia’s largest organisations. A move to the most livable city in the world and a side step into the world of finance and technology left Melanie craving the passion of her younger years and so, inspired by her circus trained brother and performer, Lucky Chance (yep, that’s his name), she picked up her first hoop as an adult on her endeavor to find her unicorn. Meeeooow! And there it began…..
Training under some of Melbourne’s top hoop stars and visiting international artists the creative door was unlocked. 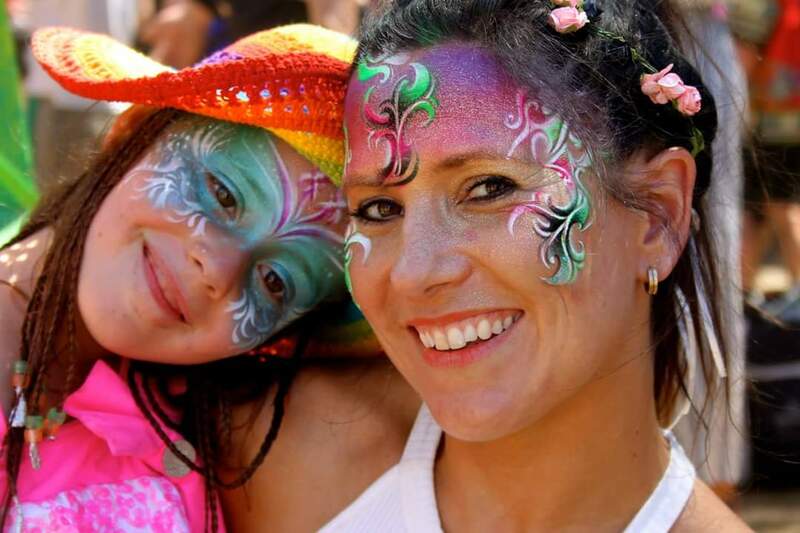 Not soon after did the lying dormant characters of Melanie such as Sassy Cat and Miss Zoops soon appear and with them the exploration of face painting and balloon art to which she also trains under some of the best local artists Melbourne has to offer. With a family deeply connected to teaching children, circus arts and the belief in creative endeavors behind her as well as post graduate qualification in Business Management Where’s My Unicorn? was born. A qualified Hoop Love Coach, Melanie believes laughter is the best medicine. By sharing her love of dance and play she hopes to bring plenty of hula hoop fun, face paint shenanigans and ballooning laughs (not to mention general goofing around joy as you do at parties) to all those around her. Whether you’ve booked a face paint for your party, sharing a hoop class or bestowed your child with a balloon animal or ten, you’re guaranteed a laugh with a big dash of enthusiasm and professionalism. With any spare time left over you’ll find Melanie catching a show with anything that promises the lure of acrobat, burlesque and a laugh, sweating it out in a hot yoga class in St Kilda, dancing up a storm on the festival floor or traveling the world for culinary delights and the taste of cultural inspiration; but not without her hoop, a rainbow split cake and a balloon or two in her pocket!